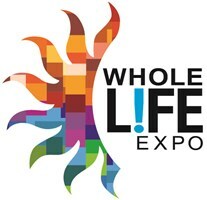 WHOLE LIFE EXPO brings together yoga and meditation instructors, musicians, speakers, and wellness-lovers into a huge celebration of mindful living. This is the Adelaide Festival not to be missed, – the largest health, wellbeing and natural therapies event in South Australia. That means there’s something for every type of healthy foodie, mindful Yogi, sacred music lover and spiritualists, with free meditation & chant sessions sitting alongside gluten free & raw food seminars. • LIVE STAGE - Free performances on the live stage featuring a mix of conscious and sacred music, dynamic dance and more. • FREE SEMINARS & WORKSHOPS - Spiritual teachers, reiki masters, energy healers and psychics meet with yoga teachers, naturopaths, life coaches and psychologists to examine new and interesting approaches to personal and spiritual wellbeing. • THE HEALTH & WELLBEING STUDIO - Classes in the Studio include complementary medicine, self-healing techniques, personal and global wellbeing, life coaching, dance and movement. • THE MASSAGE SPA - After a full day shopping, head to the Massage Spa for your free 10-minute shoulder, neck or head massage or book one of the many massages on offer by our top therapists. • THE YOGA SPACE - Free classes from some of Adelaide’s finest yoga teachers. • THE GLUTEN MATTERS VILLAGE - Need a gluten free diet? Family member or friend with Coeliac Disease? Catering for those requiring a gluten free diet? Want more information about this special dietary requirement? Stroll through the stands in The Gluten Matters™ Village by the Coeliac Society of SA & NT and discover the great range of gluten free foods being exhibited. • THE NATURAL BEAUTY & SKIN CARE BAR - Choose from a range of beauty & hair makeovers. A unique forum in which visitors can try and touch new products and innovations and take home free samples. • THE ART& DESIGN LANE This is the chance for visitors to meet face to face with South Australia’s newest artists & designers and shop for one of a kind exclusive brands, locally handcrafted products, small production runs and handmade goods. • THE HEALING HUB - Reiki, Workshops,Chakra Balancing, Spiritual Guidance, Australian Bush Flower Essences, Essential Oils & Plant Healing. The Mantra & Meditation Temple - Free Meditation & Mantra sessions hosted by experts in the field. • THE MYSTIC CORNER - Free presentations and demonstrations from inspiring psychics and energy healers. Near the Mystic Corner, we have a dedicated area for Psychic Readings, where visitors will be able to experience face to face readings with leading psychics, tarot card readers, clairvoyants, mediums and astrologers. • CREATIVE KIDS - This area runs a variety of fun, engaging and inspiring workshops for kids of all ages. Drawing, painting, face painting. • THE ECO VILLAGE – Celebrating Eco & Sustainable Living. Green Energy, Sustainable, Renewable in the areas of technology, solar, transport, energy, renovations, homewares, household and gardening. Fair-trade, Gluten-Free, Certified Organic and Chemical-Free Vegan, Vegetarian, and Non-GMO in areas of health, food, beverages and wines. • WHOLE FOOD COURT - Here visitor can fuel up with nutritious food, drinks and great coffee at one of several cafe`surrounding the Live Stage. • WHOLISTIC MARKETPLACE - Showcasing 300+ wholistic exhibitors, visitors can indulge in some retail therapy, relax with a massage, discover some sacred music, indulge in raw chocolate and organic wine, stretch at a yoga class, receive guidance from a psychic reading, experience amazing live show, fuel up at one of several gourmet cafe` or just stock up on some of the world’s finest books, vitamins, organic skin care products, yoga supplies, supplements, handmade jewelry, crystals and gluten free treats.